Inspire Planner is a Salesforce project management app designed to help businesses and nonprofits manage complex projects easily with an intuitive drag and drop interface. Inspire Planner allows users to manage multiple predecessors, share project plans with Salesforce users or external contacts, create project templates, track time, update Salesforce tasks automatically, and much more. Hi Marla, thanks a lot for taking the time to write such a nice review about Inspire Planner! Glad to hear that you are happy with our app! My company did not appoint a leader to roll this out so no one was trained or in charge of this new feature. I clearly realize this is on my company to roll this out but I want to ensure that Inspire Planner is pushing for this model. The model to have us be successful and have someone fully trained. I like the detail of each event and how things are dependent on one another. I like the detail of each event and how things are dependent on one another. This is not customer facing, i'm not able to share with my clients the phases of their project or where they are with overall completion. I can certainly add them as a collaborator but in the overall grand scheme of things this doesn't show the customer what they have completed or the % of completion. Overall, it's not client facing to my customers. Hi Kevin, I'm sorry you are not getting an optimal user experience from Inspire Planner. Any time you have questions or issues, please reach out to our support team (support@inspireplanner.com) and we will be happy to assist. Also, we are now offering an onboarding package with all new signups. After using the inspire planner app for a couple of months, I have had a great experience, and we are currently planning to roll it out to the rest of my company as our primary PM tool. Their customer service and support is excellent, and the app strikes a great balance between having enough features to be effective but not so many that it is hard to use or understand.I like the fact that this tool integrates with Salesforce tasks as a native application. Often apps come with their own sets of objects and this makes adoption more difficult, but project managers are able to assign tasks and subordinates see those show up just like any other Salesforce task. The portfolio view is also quite effective for project managers at gaining a great perspective of project progress, delays, and resource allocation. Finally, the ability to assign project tasks to users who do not have a license is a great feature that allows us to work with partners rather than be limited to our internal users. I like the fact that this tool integrates with Salesforce tasks as a native application. Often apps come with their own sets of objects and this makes adoption more difficult, but project managers are able to assign tasks and subordinates see those show up just like any other Salesforce task. The portfolio view is also quite effective for project managers at gaining a great perspective of project progress, delays, and resource allocation. Finally, the ability to assign project tasks to users who do not have a license is a great feature that allows us to work with partners rather than be limited to our internal users. It is a challenge to structure operational tasks, as opposed to project tasks, since these also use resources but are not specific to any particular project. You are able to create a generic project to put these in, but this is not always a perfect solution. The Saving functionality in Inspire Planner Project Plan. To save we need to specifically click on save button and I feel if we by mistake come out of the window without saving it should save the changes. 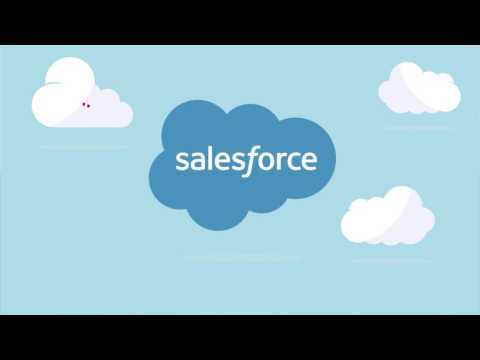 It's a great, great way to manage projects within Salesforce. We had been using smartsheets previously but there was major difficulty getting them to communicate with Salesforce. Also, the nonprofit pricing of Inspire Planner is incredible! We wouldn't otherwise be able to use software such as this.That it allows our construction team to manage projects within Salesforce so the rest of the staff can stay up to date and details don't get lost in communication. The gantt chart in particular is well designed. That it allows our construction team to manage projects within Salesforce so the rest of the staff can stay up to date and details don't get lost in communication. The gantt chart in particular is well designed. It is clumsy and sometimes poorly integrated; for example, you have to remember to save your edits to a project. Also, projects are difficult to connect to contractors and there is no where to just save files associated with a project. We'd like to be able to have a folder within a project with important documents, but there is no where to do this except to attach them to tasks which makes them hard to find and review. Another example of the clumsiness is that when you go to assign a task to a contact you have to search for them, select them, and then select them again. There are a bunch of small issues such as this. Offers a native Salesforce app which syncs with Salesforce tasks. Provides an intuitive drag and drop interface. Allows users to share projects with external contacts. Below are some frequently asked questions for Inspire Planner. Q. What type of pricing plans does Inspire Planner offer? Q. Who are the typical users of Inspire Planner? Q. What languages does Inspire Planner support? Q. Does Inspire Planner support mobile devices? Q. Does Inspire Planner offer an API? No, Inspire Planner does not have an API available. Q. What other apps does Inspire Planner integrate with? Q. What level of support does Inspire Planner offer?